The French presidential candidate has refused to attend a questioning by magistrates over allegations that she used European parliament funds. PARIS: French presidential candidate Marine Le Pen has refused to attend a questioning by magistrates over allegations that she used European parliament funds to pay her party staff, according to a media report. Le Pen, citing her parliamentary immunity, told judges in a letter on Friday that she will accept to answer their questions over the fake job affair after the two-round election scheduled for April 23 and May 7, news channel BFMTV said in the report. In December 2016, French prosecutor opened an investigation for breach of trust, organised fraud scams and forgery after the European Anti-Fraud Office accused Le Pen of paying her France-based chief of staff a total of 298,500 euros ($316,320) for her work as parliamentary assistant between December 2010 and February 2016. Le Pen is also accused of using the funds to pay her bodyguard 41,554 euros for the October- December 2011 period, Xinhua news agency reported. Le Pen, whose presidential bid is gaining momentum, dismissed any wrong-doings and described the affair as "a political plot". Pollsters have said she was likely to win the first round of voting on April 23. However, she would lose the run-off in May to whoever should be her opponent. 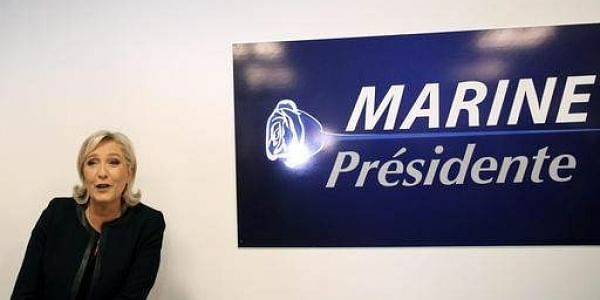 In a scenario where moderate conservative Alain Juppe will replace scandal-hit Francois Fillon, Le Pen will be kicked out in first round with Juppe and centrist contender Emmanuel Macron would be the presidential contest's finalists, Odoxa poll showed on Friday.